Kurt Busch started from the pole position and led for the first 31 laps — and Kyle Busch led for 38 laps down the stretch — but neither could hold off a late charge by Brad Keselowski in the Kobalt 400 at Las Vegas Motor Speedway. 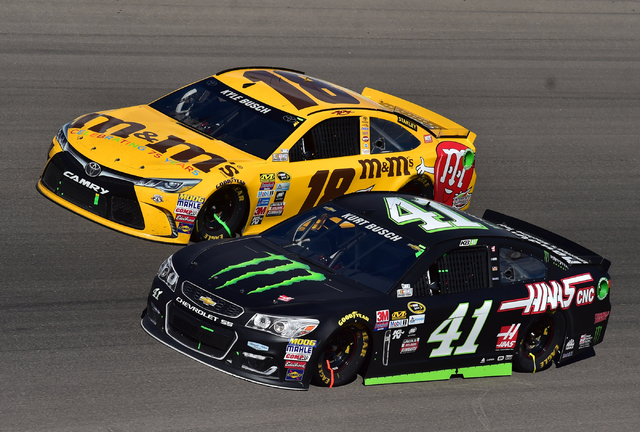 Neither Kurt nor Kyle Busch got to race in the Kobalt 400 NASCAR Sprint Cup race last season on their home track. The Las Vegas natives each showed flashes of brilliance in their return Sunday before placing in the top 10. Kurt Busch started from the pole position and led for the first 31 laps — and Kyle Busch led for 38 laps down the stretch — but neither could hold off a late charge by Brad Keselowski in the 267-lap race at Las Vegas Motor Speedway. 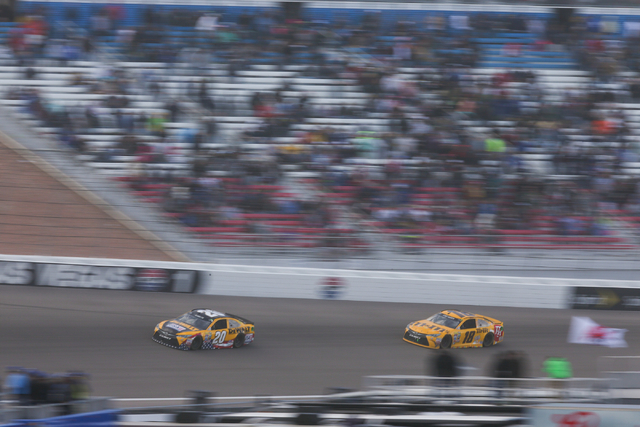 Keselowski, who led for only 18 laps, took the inside of Kyle Busch on the backstraight to grab the lead with six laps to go and hung on for his first victory of the season. 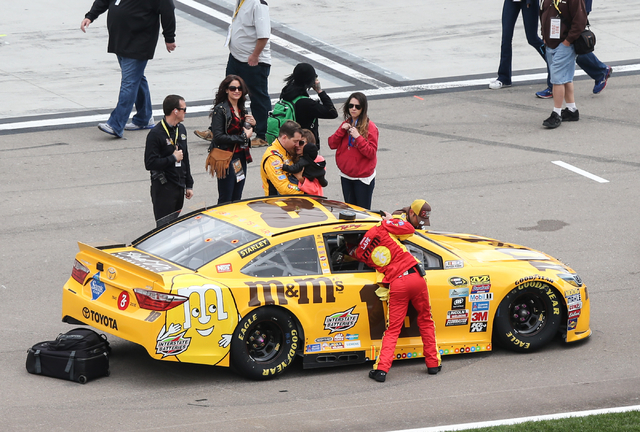 Kyle Busch had been leading since the 224th lap, when he made an abrupt move outside, then inside. But his car steadily gave out, and he finished fourth behind Keselowski, Joey Logano and four-time Las Vegas champion Jimmie Johnson. Austin Dillon took fifth. Kyle Busch nearly swept the weekend’s races, as he was coming off a dominating win in Saturday’s Xfinity Series in which he led 199 of 200 laps. He started 23rd on Sunday and first cracked the top three during the 102nd lap. But then came the car issues. 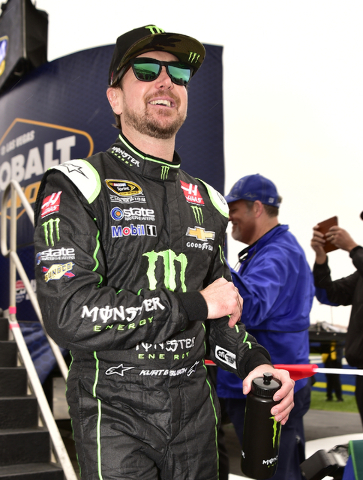 Kurt Busch, who was under a NASCAR-mandated indefinite suspension for domestic assault during last season’s race, took control early, but quickly dropped to the back after receiving the day’s first speeding penalty at pit row. 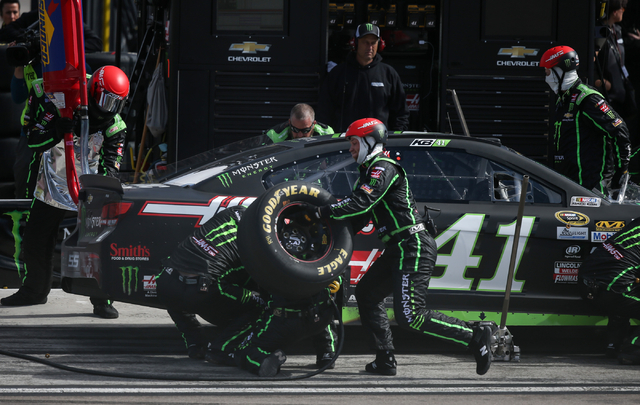 Despite being involved in a multi-car wreck on the 225th lap, Kurt Busch fought back to finish ninth. * TATE CHEERS ON HARVICK — One day after defeating Holly Holm by submission at UFC 196, new Ultimate Fighting Championship women’s bantamweight champ Miesha Tate was at the speedway to support friend Kyle Harvick. * LEAD CHANGES — There were 20 lead changes, 10 leaders and six cautions for 36 laps. * INSPECTIONS — No cars failed postrace inspections. But cars driven by Keselowski, Logano and Kasey Kahne were taken back to the NASCAR garage for futher inspection. * TOP ROOKIE — Ryan Blaney was the highest finishing rookie, taking sixth. 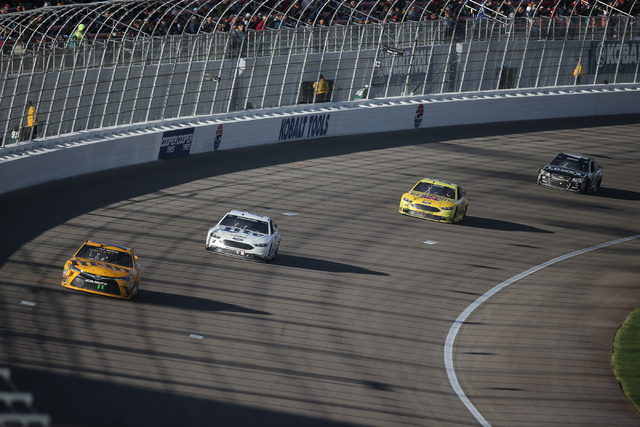 * TOP 10 — Runner-up Logano posted his fourth top-10 finish in eight races at LVMS. Johnson, who led for a race-high 76 laps and took third, posted his ninth top-10 finish in 15 races at the speedway.